One can always trust Serge Lutens, or ‘Uncle Serge’ as he is often reffered to in affection, to do something a little bit different. Over his career, Lutens and his perfumer and right hand man, Christopher Sheldrake have created a wealth of opulent, angular and fatal perfumes that smell beautiful, challenging and often entirely unique. To put it simply, to enter the world of Lutens is to take a step into the unfamiliar. 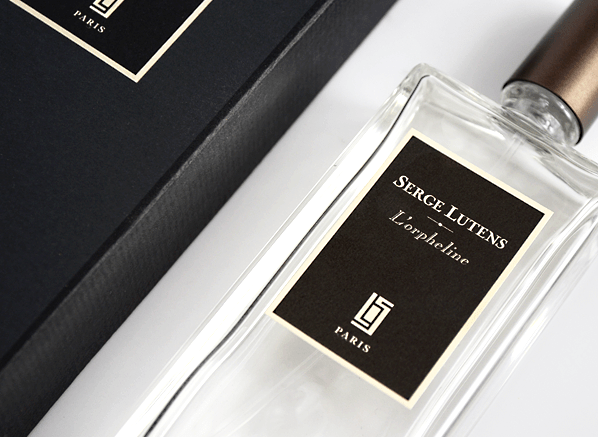 For my Escentual column this week, I’ve reviewed the latest addition to the house of Serge Lutens – the strangely named ‘L’Orpheline‘ (The Orphan). Without giving too much away, it’s a difficult perfume to pin down and right from the outset it feels awash with contradictions and an overall fuziness that blurs the lines between strong juxtapositions. If that has you suitably intrigued, simply click here to head on over to read my review. As always, don’t forget to leave a comment with your thoughts if you’ve given L’Orpheline a sniff. Posted in Escentual, Perfume Reviews, Serge Lutens, Unisex and tagged Christopher Sheldrake, Escentual, L'Orpheline, Perfume Review, Serge Lutens. Bookmark the permalink.